On Saturday, November 24, 2012, the Letty Coppel Foundation and DIF of Cabo San Lucas held a talk about prostate cancer prevention at the Pueblo Bonito Hotels in Cabo San Lucas. 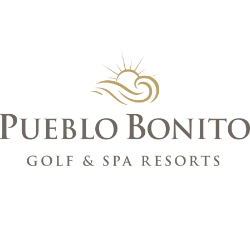 Posted by admin in Social Assistance on 11 24th, 2012 | Comments Off on On Saturday, November 24, 2012, the Letty Coppel Foundation and DIF of Cabo San Lucas held a talk about prostate cancer prevention at the Pueblo Bonito Hotels in Cabo San Lucas. Letty Coppel Foundation presents yellow ribbon against suicide. Posted by admin in Newspaper archive Los Cabos on 11 12th, 2012 | Comments Off on Letty Coppel Foundation presents yellow ribbon against suicide. The Letty Coppel Foundation presents proof of the program “School for Parents” in the children’s stay Preciosos Momentos. Posted by admin in Social Assistance on 11 9th, 2012 | Comments Off on The Letty Coppel Foundation presents proof of the program “School for Parents” in the children’s stay Preciosos Momentos.